check out the latest vaping products coming out! Aspire Feedlink Revvo Squonk Kit is the latest bottom feed kit from Aspire. Paired with the Aspire Revvo Boost Tank, it represents the unique gun style BF Kit for vaping, comes with the push fire button that is easy to use. The Aspire Feedlink Revvo Mod is powered by single 18650 battery. Its fire time is as quickly as 10s. With the built-in 7ml silicon e-juice bottle, it will meet your daily need. Besides, the 2ml aspire Revvo Boost tank features a bottom-fill design through a squonk pin connection with the wattage range between 70W to 80W. Adopted the innovative Aspire Radial Coil (ARC) technology, it will provide better flavor with pleasant vapor production. There are multiple protections to guarantee the safe vaping. 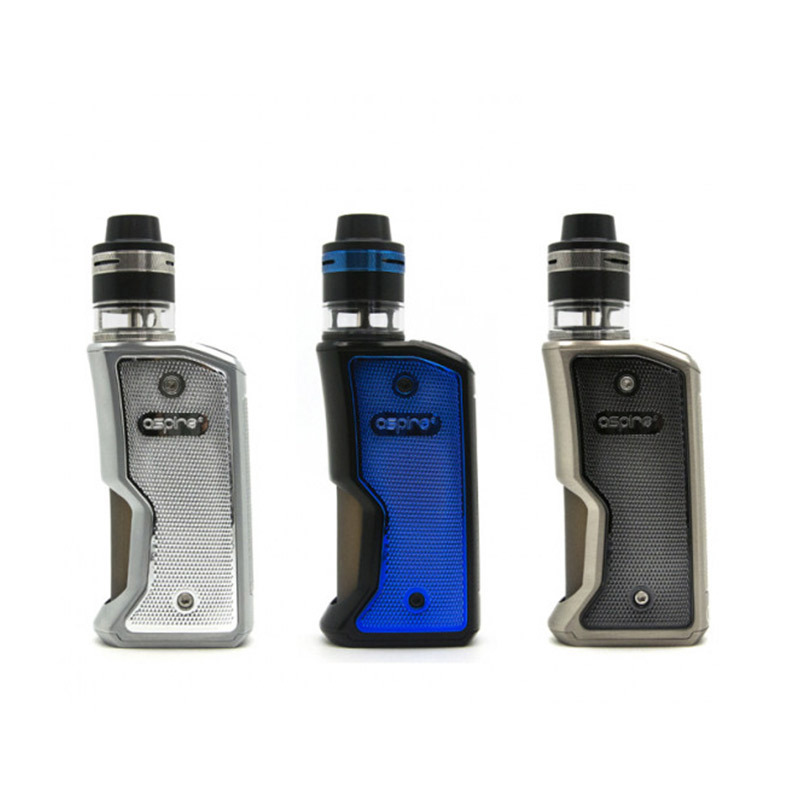 The Typhon Revvo kit is a functional and compact kit from Aspire. It comes with a 100W Typhon 100 TC Box MOD and 3.6ml/2ml Revvo tank. Powered by a 5000mAh large internal battery, the Typhon 100 supports a max output wattage of 100W with high performing VW/ VV/ Bypass/ CPS/ TCR modes.